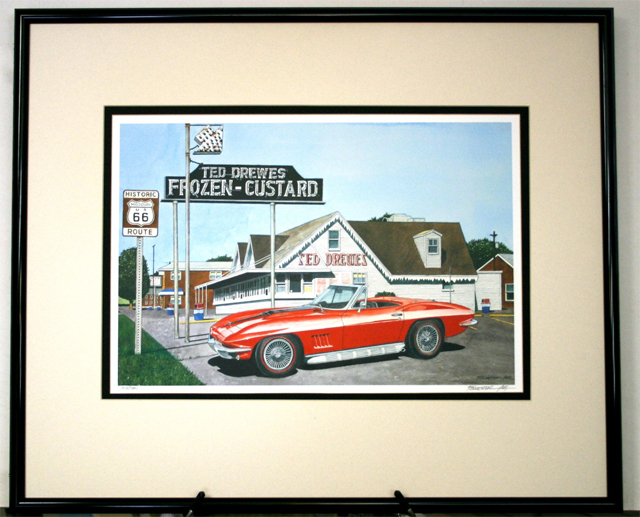 What is the difference between Giclée and Lithographic prints? About five years ago printing technology changed when the type of scanners used to produce the printing plates evolved. That required changing my printing to the newest and more expensive Giclée Printing. 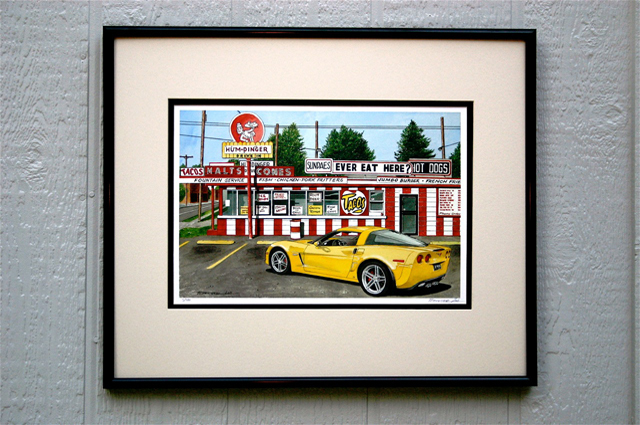 Giclée (pronounced jyee-clay) is printed by a high quality ink jet printing process. Scanning is done in a higher resolution, producing better quality than the previous Offset Lithographic process. A new offering are Giclée prints on Canvas. My local printer is able to print any of my images on a stretched canvas with the image actually extending around the corners of the canvas stretcher to the wall. The style of this printing is known as a “Gallery Wrap,” and many artists worldwide are producing their work in larger sizes on canvas. This style also doesn’t require expensive framing or glass, although the owner has the option of framing. If you’re interested in this new type of image, any of the items on my website can be printed on canvas. Please call if you have any questions. 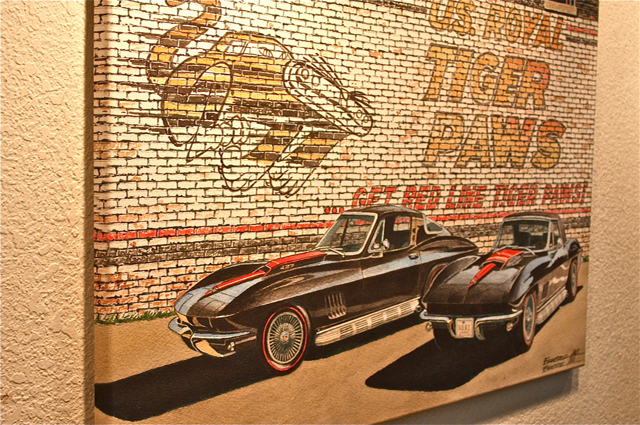 Example of a gallery wrap below. Do you have examples of framed prints? Please see framed and matted examples below. What does the A.W.S and N.W.S. after you sign your name stand for? In the earlier years of my painting career, I was competing in major watercolor competitions around the country, and the two most prestigious and least likely to grant acceptance were the American Watercolor Society in New York and the National Watercolor Society in the Los Angeles area. The A.W.S. was limited to 500 signature members worldwide and would accept approximately 120 paintings from slide submissions of 3000+ entrants. A painter was allowed to apply for signature membership only after acceptance into three of their exhibits in a ten-year period. The artist would then send two slides to compete against others for the number of open slots determined by the number of members who had passed away that year. I was accepted for membership my first year of eligibility, five years after my first exhibition. Most watercolorists never are accepted into that exhibit once, so I treasure my A.W.S. Signature Membership. The National Watercolor Society is a newer organization and its prestige is almost equal to the older A.W.S. Few watercolorists are signature members of both groups, so I am proud to use these letters following my signature.